‘Promoting Your Art Online’ is a two day weekend course where you will learn everything you need to know about making the web work for your art. Learn how to build a unique website, get people to find it, make social media work for you and encourage people to buy your work online. Taught by designer and illustrator Sam Osborne and marketing consultant and web developer David Edgar. How to use social media to promote your art, including Facebook, Twitter, Instagram, Pinterest and strategies to make the most of your time. BONUS FACEBOOK GROUP Promote Your Art online has its own dedicated private Facebook group where the course teachers and other students offer support, feedback and advice. This group is open before, during and long after the course for any questions you may have. 2016 dates TBC. Please register your interest now! Building your unique home on the internet. Driving people to your website. This course is suitable for everyone – age and experience are no barriers and you don’t have to be at all techy. There will be a few simple assignments to complete before the course starts, for example you will need to set up a Facebook account (if you don’t have one already) so you can join the class Facebook group. There will also be homework and activity sheets given out during class for you to complete in your own time. At the end of the course you will have all the information you need to build your own unique website, to sell your art online and promote your art via social media, e-newsletters and online PR. 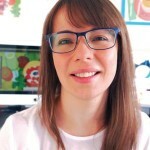 Sam is a designer and illustrator who runs her own creative business. She has been using the web to sell and promote her services for years and brings her first-hand experience to the course. David is a marketing consultant and web developer who runs his own marketing agency. 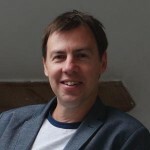 David has been building websites and helping people promote their businesses online for over a decade. Thank you so much! I’ve really enjoyed the course – you’ve both been inspiring and really helpful. I wanted to share with the group that I just sold 2 bowls online. My first online sales!